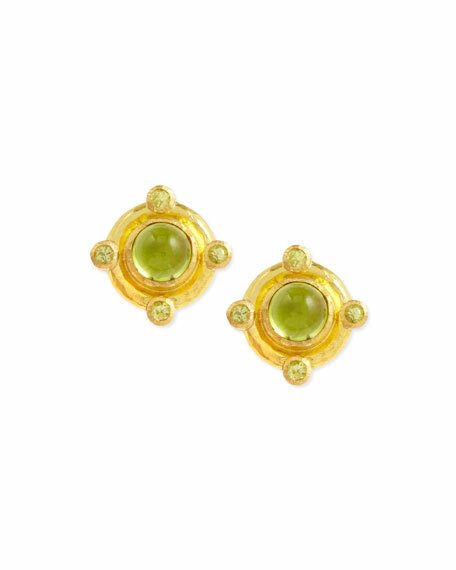 Handcrafted in signature 19-karat yellow gold and detailed with glowing green peridot, these Elizabeth Locke earrings catch the light at all angles. Small 19-karat yellow gold Elizabeth Locke earrings with hand-hammered finish. Round iolite cabochon center, 6mm. Four round-cut iolite facets, 2mm. Butterfly post backs (for pierced ears).